You are downloading trial software. Purchase of a license key is required to unlock all the features of the software. Download is 4.2 MB & Always 100% Virus & Spyware Free. How to Uninstall. 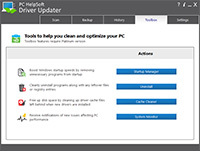 PC HelpSoft Driver Updater takes the hassle out of adding or updating Windows devices. Driver updates from most manufacturers are provided at no cost, but they're often difficult to locate and match to your device. 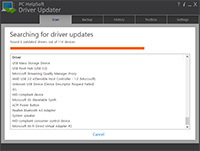 PC HelpSoft Driver Updater locates updates for your devices automatically, backs up your drivers for quick reinstall, and automatically notifies you when new updates are released for your drivers, bringing true convenience to keeping your devices up-to-date. Try it now! PC HelpSoft Driver Updater New! Get Your Devices Working Without the Headaches! Countless users spend literally hours trying to get devices like webcams, printers, scanners, video cards, and more working properly. It doesn’t have to this way! PC HelpSoft Driver Updater was designed to automate this process and do the heavy lifting for you, automatically installing and updating nearly any Windows device in minutes. PC HelpSoft Driver Updater’s custom device identification engine automatically determines the exact components and peripherals installed on your PC or laptop and quickly pings our Smart Update™ software update location system to successfully search for available stability and performance updates for your particular hardware. 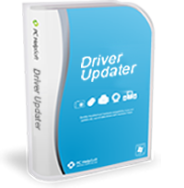 PCHelpSoft’s proprietary Smart Update™ Software Locator scours our massive driver update database to pinpoint the exact device software update package for your components and peripherals. Smart Update™ even compares your currently installed drivers to ensure you’re only receiving updates truly required for your computer’s devices. Reinstalling Windows? Upgrading to Windows 10? 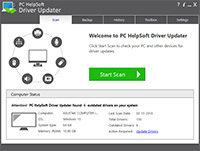 PC HelpSoft Driver Updater quickly backs up all the drivers installed on your PC or laptop, compressing the backup drivers to a zip file that’s easy to export and reinstall with once you’ve completed your reinstall or upgrade. Save hours on searching for and reinstalling device driver software! Your Computer. Only Better... Safely Update Your Windows PC or Laptop Devices Automatically!